Both Alex and Morten arrived at dance music after earlier forays into rock and more experimental climes. Alex grew up listening to legendary rockers Kiss and played in punk bands from the age of 15 onwards; Morten (who is also recording as "Sunny Face" and is one half Slow Train / Slow Train Soul and Tummy Touch/ Voodoo Recordings signing 'Los Chicharrons' ), followed a more 'indie' path and cites Joy Division as a major inspiration. 3rd album "Time to Grow" from 2002 has a more laidback, jazzy feel to it. 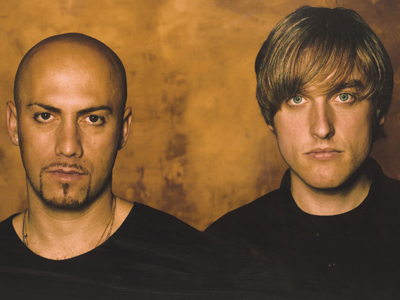 The track "Treating Me Mean" received support from Richard Dorfmeister and Josh Wink. The first single "Blue Sky White Sand" which features the incredible vocals of Lady Z went straight to No. 1 on Ben Watt's (Everything But The Girl) chart. Another single "Back To You" gained plays from Roger Sanchez on his radio show. The album also has vocal input from Pernille Rosendahl (Nominated for 5 Danish Grammy Awards). On percussion is the legendary Robin Jones who has played with Sade, Tito Puente, Charlie Palmieri, Lalo Schifrin and Stan Getz amongst others. In 2003 Alex Puddu left the band and is doing his solo project "Alex Puddu & the Butterfly Collectors". Morten Varano is continuing the project as Varano and will be touring live with Puddu Varano and Varano material.